This new cross between Black Domina and White Widow XTRM has a sweet cappuccino-like taste with a hashy overtone that will stay with you for a long time, in your mouth as well as your mind. She tastes like yummy sweetened black hash coffee. Tags: Cappuccino Feminized, Coffee Flavored Weed, Hash Coffee. In this Black Domina variety you will find different Pheno types that will all bloom very fast and produce nice large, dense buds with strong Indica features. 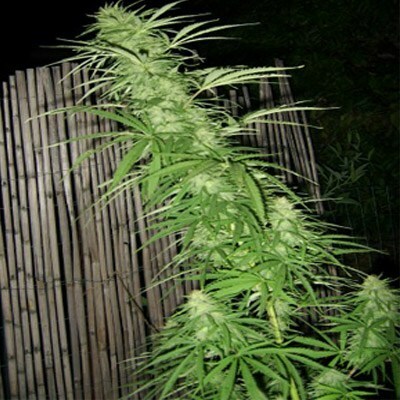 She is easy to grow and has a very nice leave structure that will make you stay in your grow room all day just to enjoy this beautiful plant. This lady is almost effortless to harvest due to her nice dense buds. This Plant is great for stress relief, headaches and depression and will give you a terrific energetic high that makes you want to go out and have some fun. Everyone knows the terps with coffee flavors are desired, and this strain doesn’t let you down, in fact it gets you up way up!